Programs using Keynote run from 45 minutes to more than an hour, as requested. We have done a program in one-half hour. 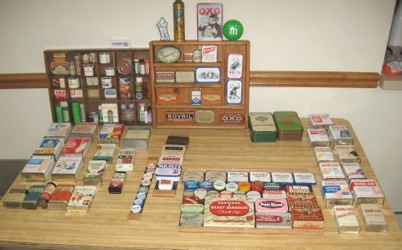 Tables are needed to display tins and for the computer and projector. We can bring our own screen for small groups. 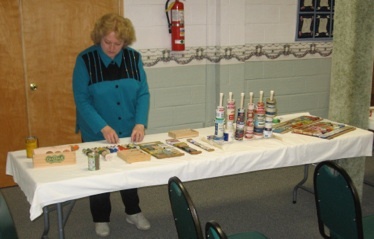 Although there is no set fee, donations are welcome for gas and supplies. Click on the “Email Me” button at the bottom of the page to schedule a presentation or for more details. 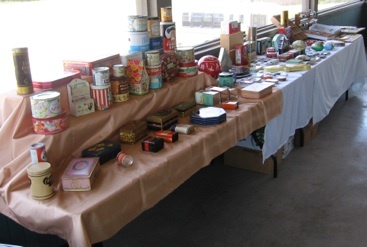 Our presentation can focus on specific kinds of tins, such as medical tins, bandaid tins, baking tins, candy tins, Christmas tins, etc., if requested to do so. 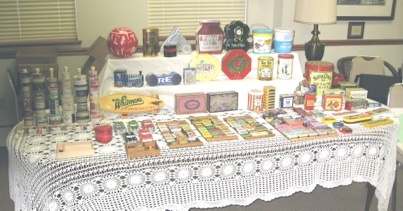 We bring lots of tins for folks to see. 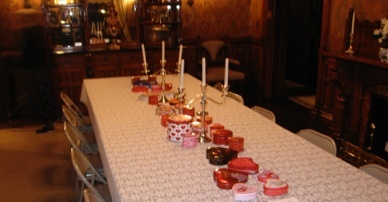 The number and size of extra tables determines how many we bring. 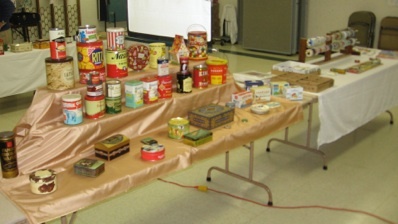 Tins can be the table decorations for meals or desserts associated with the program. 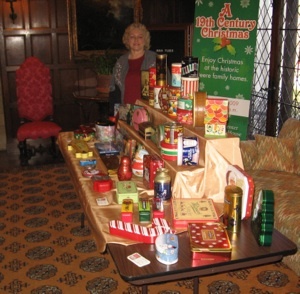 Programs are ideal for community clubs, senior citizens, church groups, historical based interest groups, scouts, Red Hat Ladies, women’s clubs, libraries, museums, touring groups, and so forth. 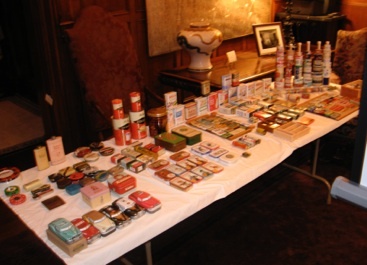 Programs for small groups can be accommodated in our home where 1000’s of tins are on display at all times. However, there are steps to the basement display room.